Workflow is an automation tool for iOS. Workflow is your personal automation tool, enabling you to drag and drop any combination of actions to assemble workflows that speed up tasks you do every day. 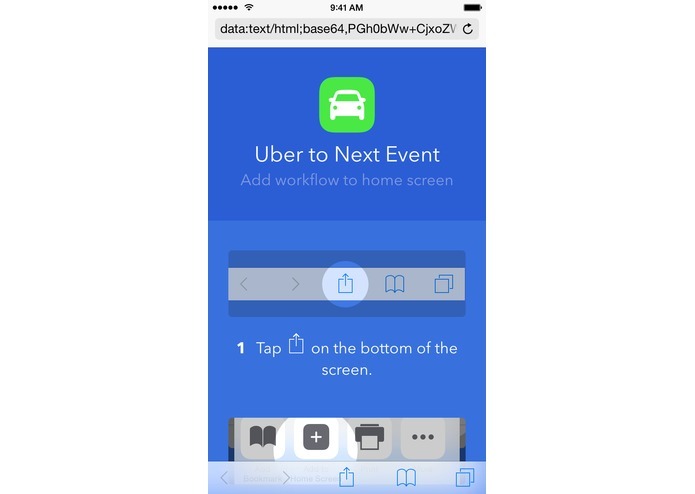 Providing hundreds of actions that interact with the apps and content on your device, Workflow opens up infinite possibilities of what you can do with your iPhone and iPad. Workflow launched last December and was selected by Apple for Editor's Choice. For the first four days of its launch, Workflow was the #1 paid app in the App Store. 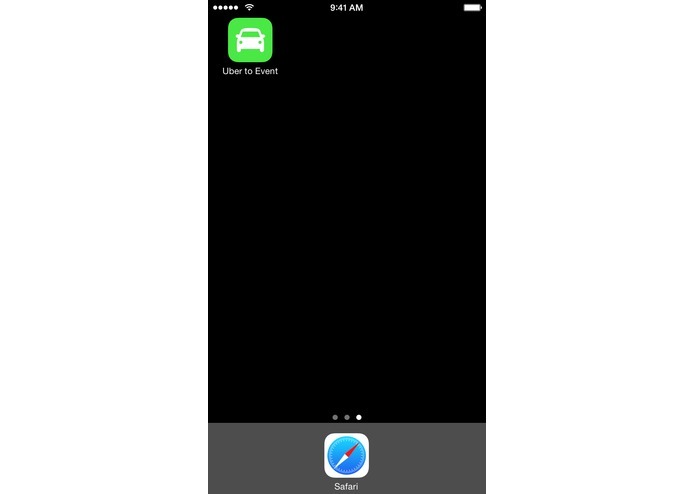 Many of our users love our Uber integration, but until the ride request API was announced, switching apps was required. 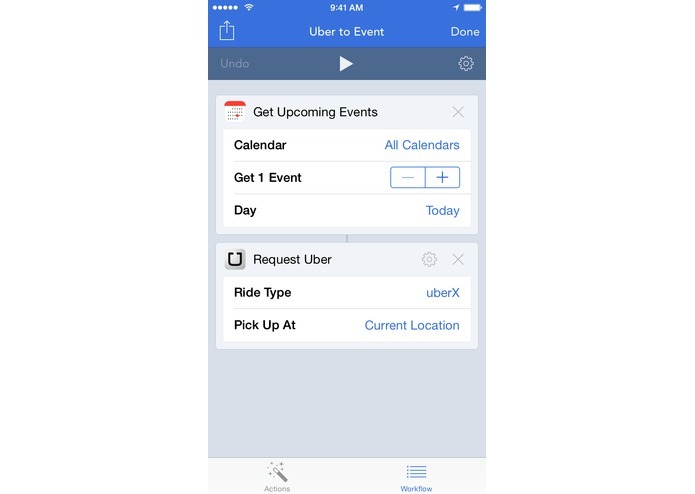 As of this hackathon, however, our users can now immediately request an Uber from their Apple Watch or from a workflow they've added to their home screen.